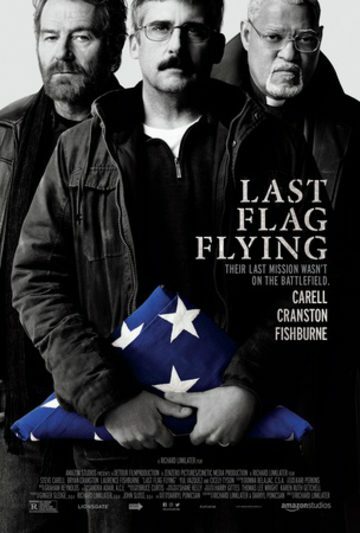 In 2003, 30 years after they served together in the Vietnam War, former Navy Corps medic Larry “Doc” Shepherd (Steve Carell) re-unites with ex-Marine Sal Nealon (Bryan Cranston) and Reverend Richard Mueller (Laurence Fishburne) on a different type of mission: to bury Doc’s son, a young Marine killed in the Iraq War. Doc decides to forgo burial at Arlington Cemetery and, with the help of his old buddies, takes the casket on a bittersweet trip up the East Coast to his home in suburban New Hampshire. Along the way, Doc, Sal and Mueller reminisce and come to terms with shared memories of the war that continues to shape their lives. The movie was a good human interest story. It was so timely with the recent deaths of soldiers in Africa. It was a great movie. Probably the best movie I’ve seen so far this year. Loved it. 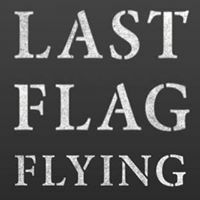 Last Flag Flying was 2 hours long, but the time was wellworth it. This is a movie for grown ups. I recommend it. This movie was fantastic - great acting and I don't know if I cried or laughed more. It was funny and it was emotional and I really loved the movie!